The arrays painted in red are currently not available. Green indicates available arrays. Due to the mechanical reason, when one array of A(2n-1), A(2n), A(2n+15), and A(2n+17) (n: 1~8) is out of order, rest 3 arrays cannot be used either. Spectral Window (SpW) mode is only available for FOREST receiver. If SpW mode is on, users can use SpW2 (array 17~32). 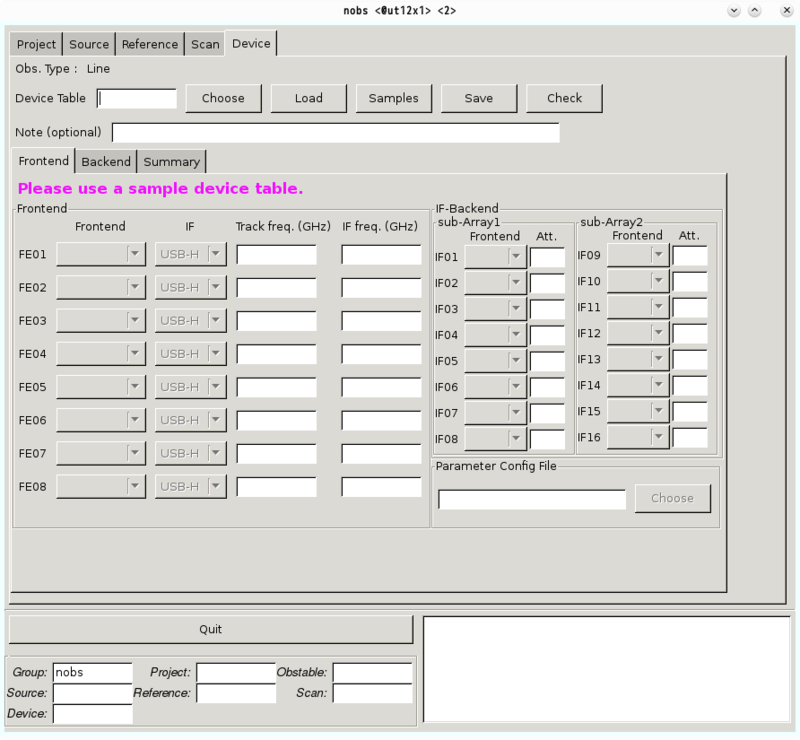 The device tab is desined to make the device table, in which frequency setup is written. NOTE: We provide sample device files. Please select one of sample files from "Samples" button first. Then, modify "Track freq. (GHz)", "IF freq. (GHz)", and "Att." in Frontend Tab, "Rest Freq. (GHz)" and "Resolution (kHz)" in Backend Tab according to your observing configurations. You cannot modify 'Frontend' and 'IF' (few exceptions exist) in Frontend Tab, and 'FE' in Backend Tab. The filename has 16 character limit. The filename does not contain any capital character. The first letter of the filename should be one of the alphabetical letters. The subsequent letters should be composed of alphanumeric, hyphen-minus sign, or underscore sign. NOTE: You can save the input parameters anytime you want (the nobs allows you to save the scan table even if some mandatory fields still blank). The nobs does not check whether these input parameters follow the rules at that time. Click the Check button for a basic check of the parameters. The nobs calculates and compares the relations of the Track Freq., IF freq., Rest Freq.. If an input value violates the setup rules, the nobs notifies the error in the information box at the bottom-right corner. The detailed frequency set-up is shown in the summary tab. LO(DC) Freq. (GHz) Down-converted local oscillator frequency. 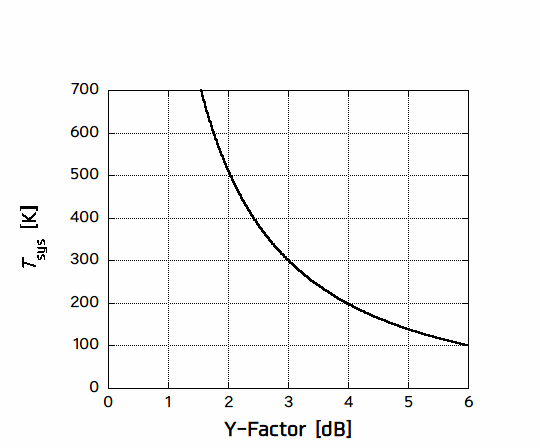 Although in most cases there is no need to take care of LO(DC) frequency, user may consider LO(DC) frequency. In such case, a derivation of LO(DC) frequency may helps to make the device table. Screenshots of each sample file and their concrete meanings are shown on the following page. You can use this space to leave any memo for the device table. A character limit is 100, and a line break is prohibited. In the frontend tab, users choose a receiver and set its target frequency range. Check the receiver (Frontend) with sideband information is correctly selected. Check an appropriate combination of IF and sideband is chosen. In most cases, users can choose any IF listed above (a combination itself cannot be changed by yourself). However, for FOREST, users cannot use USB-L and LSB-H simultaneously due to mechanical connections. 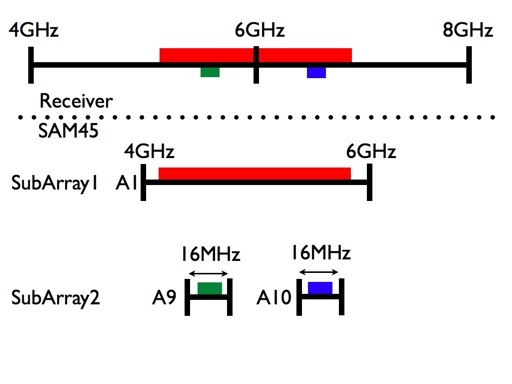 Specify tracking frequency in GHz. For single-line observations, this is the frequency of the line you are interested in. For multi-line observations using a single receiver, this should be near the average of all of the rest frequencies of the lines you are interested in. where FIF is the Intermediate Frequency, Ftrack is the Tracking Frequency, FLO is the Local Oscillator Frequency, and the +/- sign is determined from the sideband you chose: + for USB and - for LSB. In case that more than one IF is chosen, please all local oscillator frequency fLO have the same value. Unless there is no special reason, most observations can be done with the values provided below. These values correspond the centre of IF of each receiver. These values should be re-adjusted if Tsys are varied (i.e., depends on weather condition). If you are not sure, please use the following table as a guideline. A value specified at the attenuator (Att) is added to the initial value of the attenuator in the IF system, only when the receiver sees a hot-load during the absolute intensity calibration. This additional attenuation reduces the power of a signal to stay in the good linearity range of the system. An inappropriate value specified at the attenuator may cause incorrect values of Tsys and intensities of spectral lines. 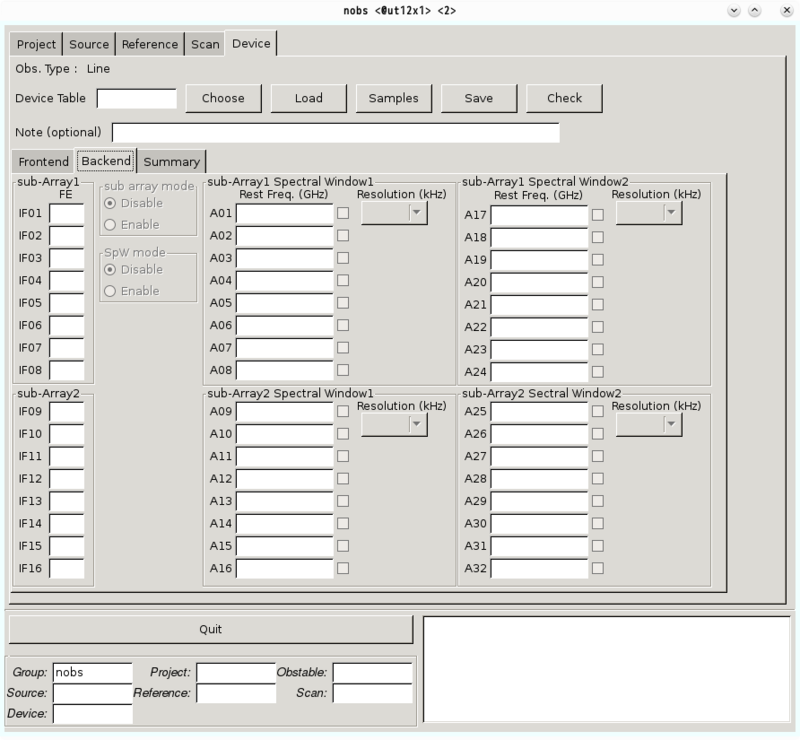 With the backend tab, users can arrange the frequency setup for a spectrometer. There is only one spectrometer, SAM45, is mounted on the Nobeyama 45-m telescope. The SAM45 spectrometer is a highly flexible FX-type correlator (spectrometer) that allows a maximum of 32 GHz of bandwidth (2GHz, ~1.6GHz effective, x 16 arrays) in 4096 spectral channels. The arrays are donated A1, A2, ..., A32 in the device table. SAM45 consists of 32 arrays, where the resolution of the arrays can be set at 3.81, 7.63, 15.26, 30.52, 61.04, 122.07, 244.14, 488.28 kHz. The prior 16 arrays are called Sub-array 1, while the posterior 16 arrays are Sub-array 2. The sub-array 2 cannot be used unless the Spectral Window (SpW) mode is selected. If users set the 'sub-array' mode on, two independent frequency-resolution setting can be applied for the sub-array 1 and the sub-array 2. The bandwidth for each resolution setting can be calculated by multiplying the number of channels (4096) for each array (see table). All reciever (FOREST, T70, Z45, H40, and H22) can be connected to SAM45. 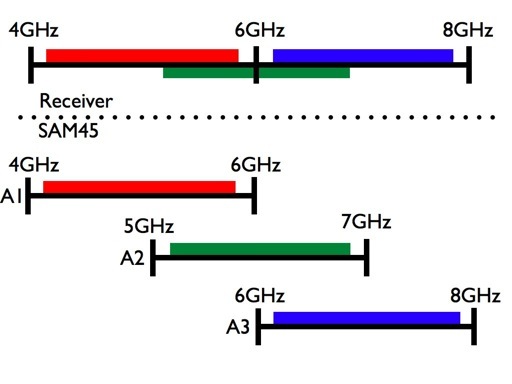 This field allows users to know the connection of the signal from the receiver to an array in SAM45. IF(n) is connected to SAM45 array A(n) and A(n+16) (n:1~16). For example, if FE of 'IF01' is filled with 'FE01', you are connecting the receiver you chose for FE01 at Frontend Tab and the signal will be sent to SAM45 A01 and A17. Sub-array mode allows you to set a maximum of two independent frequency-resolution (bandwidth) modes. Simply enable/disable the sub-array by clicking on the radio button. When enabled, you can choose the second set of the frequency resolution. The sub-array mode is available with FOREST, T70, H40, and H22 receivers using at least 16 arrays. 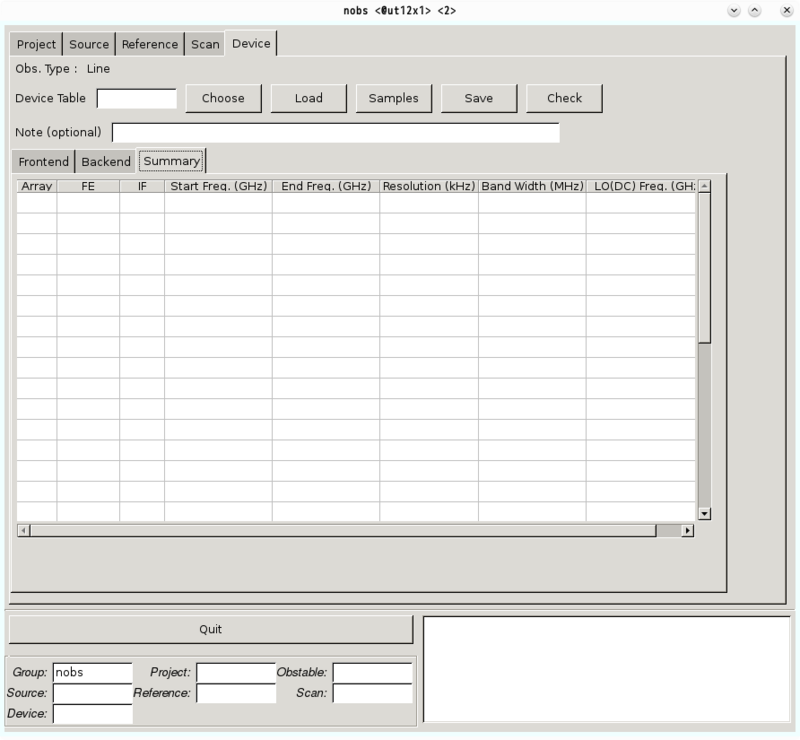 The spectral window (SpW) mode is only available for FOREST receiver and users should use dedicated sample files (a filename with fs_~_s.ndevice). When SpW mode is enebled, users can set two different spectral-resolutions with the same IF and sideband (i.e., USB-H, USB-L, LSB-H, and LSB-L). Note that the specified IF range and the LO frequency cannot be changed. Also see the status report about Spectral Window mode. Enter the rest frequency (in GHz) of a target line for each spectrometer you use. In case that users intend to perform a simultaneous observation of multiple lines, whose rest frequency locates within same bandwidth, the averaged rest frequency is to be filled in the field. If targets are high-z objects, please fill this field with red-shifted frequency. When one of SAM45 arrays is out of order, users easily exclude such array by clicking the check box in the right (current SAM45-array status can be refered here). Choose the spectral resolution for each sub-array.l See also the first item on this FAQ page if you are preparing for OTF observations. Note that bandwidth for the SpW mode becomes as half as that for the non-SpW mode. This example uses the FOREST receiver and intends to cover the full 4-8GHz IF bandwidth using three arrays of SAM45. For example, if the tracking frequency is set at 110.201354 GHz (rest freq of CO(1-0)) with an IF of 6 GHz, then A1 is centred at 109.201354 GHz, A2 is centered at 110.201354 GHz, and A3 is centred at 111.201354 GHz. This example utilizes the subarray mode of SAM45. Subarray 1 is set at the lowest spectral resolution (widest bandwidth), whereas subarray 2 uses the highest spectral resolution (narrowest bandwidth) centered at the portion of the band where your target line appears. For example, if you intend to observe the HCN(1-0) and HCO+(1-0) lines simultaneously, the tracking frequency could be set at 89 GHz with an IF of 6 GHz, then A1 could be centered at 89 GHz, A9 at 88.632 GHz (rest frequency of HCN(1-0)), and A10 could be centred at 89.188 GHz (rest frequency of HCO+(1-0)). The LO(DC) is used to down-convert again the user-specified IF frequency into a lower frequency. In most cases, users do not need to take care of the LO(DC) frequency because it is automatically checked whether it is within a valid range. However, sometimes it may need to adjust the LO(DC) frequency by users. Step 1: Calculate the following value, which is useful for the derivation of the LO(DC) frequency, FLO(DC). where Frest, Ftrack, and FIF are the rest frequency, the tracking frequency, and the IF frequency, respectively. +/- signs correspond the sideband (+ for USB and - for LSB). Step 2: Derive the LO(DC) frequency. Choose an appropriate equation based on the receiver and the sideband which the user intend to use.